Winter has technically come to a close, and that means warmer temperatures are ahead. 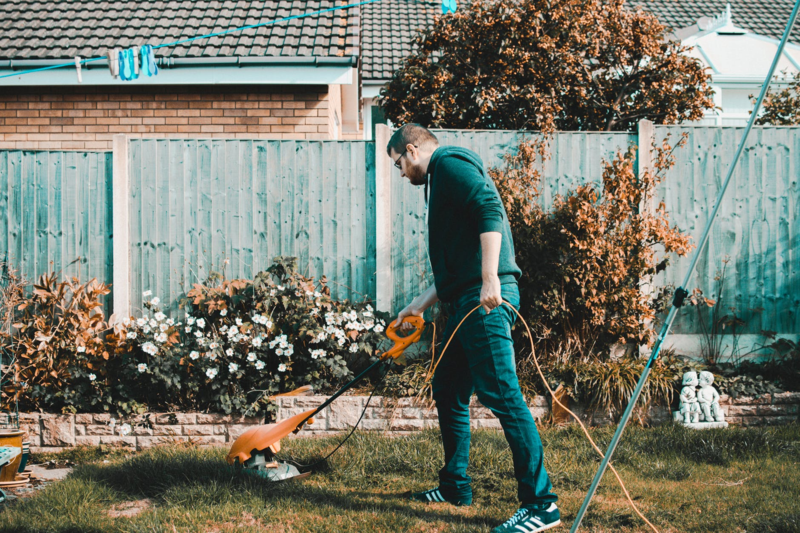 Before you start planning your backyard BBQ’s and activities, you will need to take care of some essential spring maintenance tasks. Spring home maintenance includes steps you can easily DIY and complete without a pro, but you may need some pointers to get started. To make your spring cleanup easier, here are a few projects you should tackle. Rain, ice and snow are all common throughout the winter months. These elements, as well as winter winds, can do a real number on the outside of your home, so before you take care of any other spring home maintenance, get out a ladder and check out your roof, downspouts and gutters. Clean any debris that has collected through the winter, and make sure that all connections and materials are still sturdy. Once your roof and gutters are cleared, give your roof a thorough inspection. Also be on the lookout for signs of roof issues in other areas of your home. Missing shingles and sagging are pretty easy to spot, but even subtle mold spots in your attic or home could be an indicator that your roof needs to be repaired or replaced. Before you crank up the AC during spring and summer, you need to make sure everything is working properly. Properly maintaining HVAC systems involves work all year long, but you should be particularly keen on HVAC maintenance as you prepare your home for the warmer months. Clear any debris from around your external components, and take a peek around your unit to check for potential problems. You may need a high-quality flashlight to see into all the nooks and crannies, so pick up a good one before you begin this task. Another even simpler HVAC maintenance step to complete in spring is to find your air filters and change them out. A lot of spring home maintenance centers around the exterior of your home. That includes cleaning up your landscaping. You may need to inspect your lawn for any patchy or damaged areas, and lay down more seed or sod. Be sure to clean out flower beds as well, and trim any plants in your yard. Trees, shrubs and bushes tend to get unruly during the winter, and many times, branches get damaged. To keep those branches from falling on your home or family, use the proper tools to trim them back. Tree saws are a good tool to have around your home for tree maintenance, and you can even get them with extendable handles to make trimming high branches easier. Once you have the outside of your home in shape, you should give the inside some springtime love too. Use a spring cleaning guide to make sure you don’t miss any crucial spots in your home. This is a good time to take down any curtains or drapes and give them a good wash, and it’s also a good time to stow away winter clothing you will no longer wear in the spring and summer. Take care when storing your winter apparel so that it will be ready for you next season. Just like your home, the key here is to get everything as clean as possible. With a thorough cleaning and proper storage, your winter wear will be safe and sound until you need to pull it out again. Getting your home ready for spring and summer takes some work, but having a home that’s clean, tidy and refreshed will be well worth it. Taking care of maintenance tasks, like cleaning your roof and gutters, can also help save you money and time by preventing major repairs in the future. Any way you look at it, doing some spring home maintenance will help you have a happier, healthier season!